Visiting Tokyo in November was perfect. After living in Singapore for 4 months I needed a dose of Fall weather. Surprisingly, Tokyo is still a good 7 hour flight from Singapore so the overnight flight was ideal. It gave me the entire day after I landed. Just make sure you are able to sleep, because if you can’t, it would make for a terrible first full day. The crisp cool air kept us awake all day. In fact, you couldn’t keep me in. 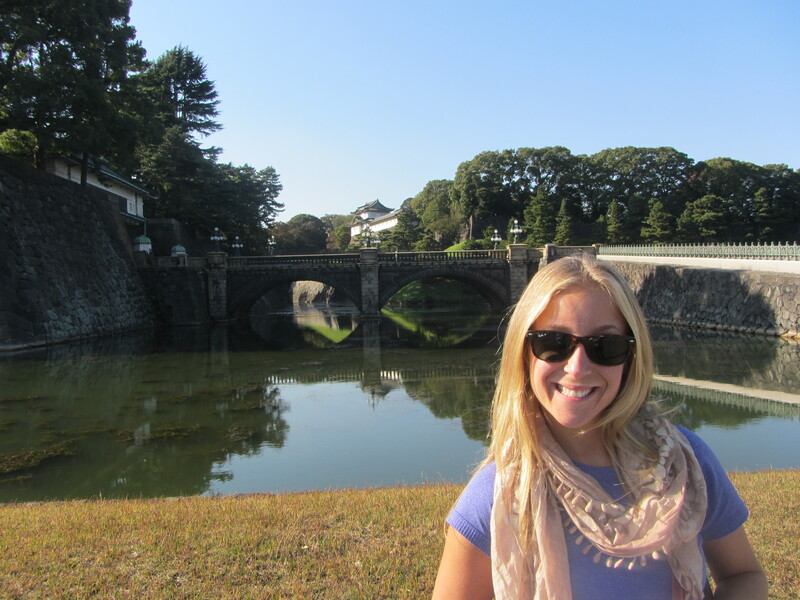 With a warm gingerbread latte in hand, we toured the Imperial Palace and Ginza. I would have been happy walking in circles; I was drinking a hot coffee and not sweating through my clothes. Things were good. Unfortunately I cannot tell you one restaurant we went to. But what I can tell you is picking a random spot under the bridges in Ginza is a safe bet. Lots of clapping when sizzling dishes come out, takitori and beer. Lots of beer. It is here where you will find the “salarymen”, the Japanese business men. 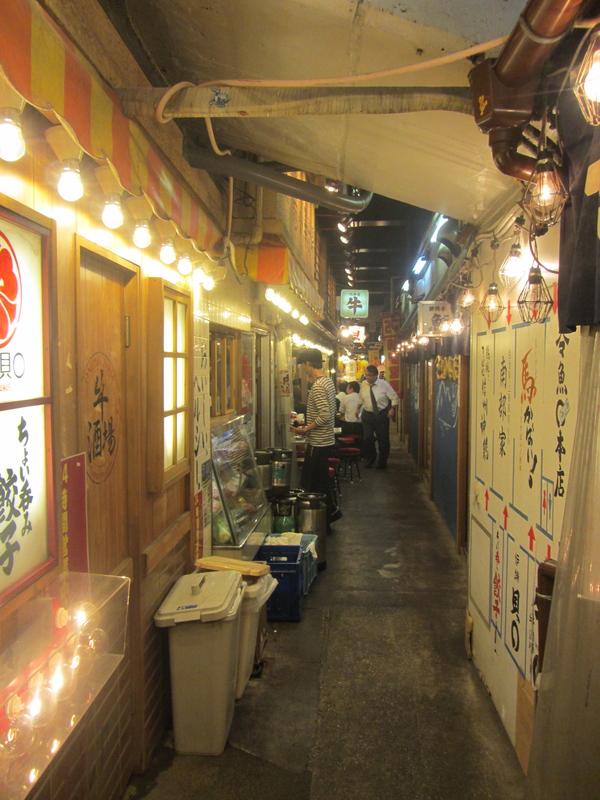 They will head to places like this immediately after work with their fellow salarymen and drink as much beer as time permits before they have to catch their train back home. Everyone was having a great time, and they LOVED seeing us tourists immerse ourselves in their culture. 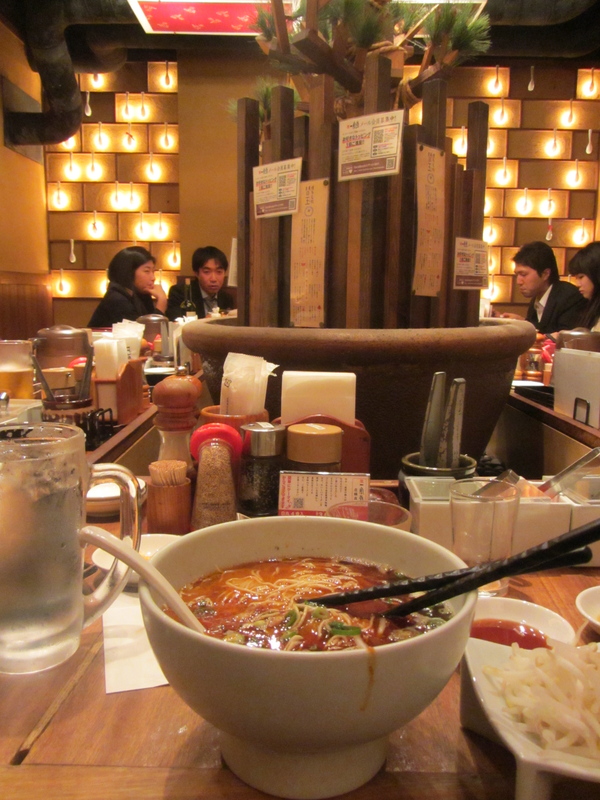 We also went to a few ramen bars, which put Cup Noodles to shame. This was my favorite cuisine in Tokyo because you can take such a simple dish and make it into something absolutely amazing. Be prepared to sit on very low cushions in most of the restaurants. This seating arrangement is not skirt or dress friendly. Also, you will have to take your shoes off at most places. 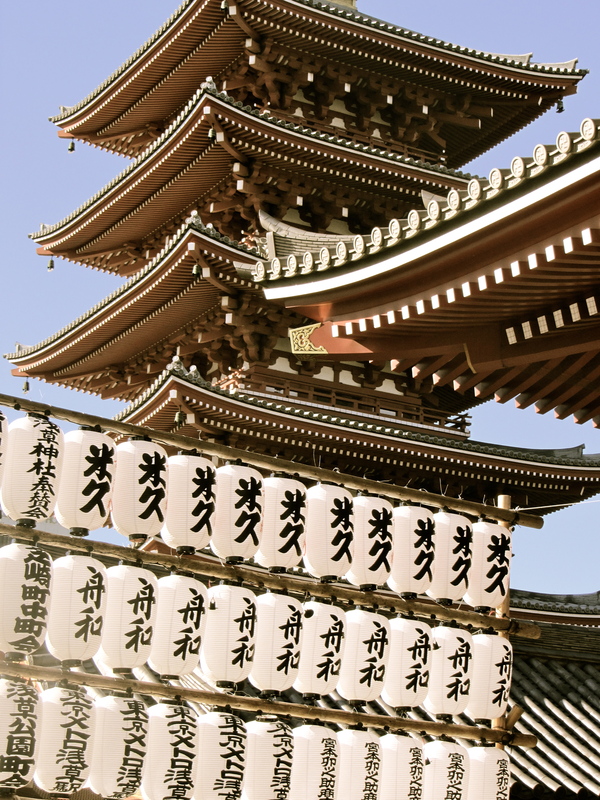 There are so many temples to see, so pick wisely. You don’t want to try to get to every one because you won’t remember anything. My favorite was the Meiji Shrine, located in Shibuya. Maybe it was because I went during the week, but it was so quiet and peaceful, and almost in a forest like setting. It just felt so serene. Another fun temple was the Sensoji Temple in Asakusa. You can also get ALL of your gift shopping and souvenirs here. There are hundreds of little stalls and markets. 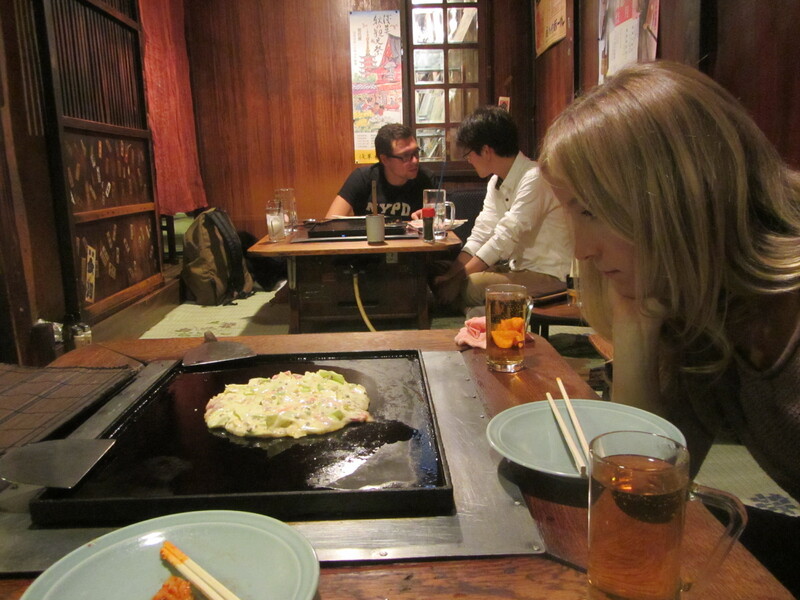 If you do go here, be sure to find your way to Askusa Sometaro, your meal is pretty much a stuffed pancake and they cook it right in front of you. Very local! For fun nightlife go to Roppongi. But be prepared to see some crazy things. Try to avoid taxi rides. They are not cheap. In fact, we made the decision to take a taxi from the airport when we arrived. The whole time I thought the meter was wrong, or I was doing bad math. It came out to $300USD. The train is actually faster and only around $10USD. The subway system is super easy and takes you where ever you want to go. The people in Japan were exceptionally nice and considerate. Very rarely did you ever see a local Japanese people without a sports jacket or suit on. They always looked nice and very put together. 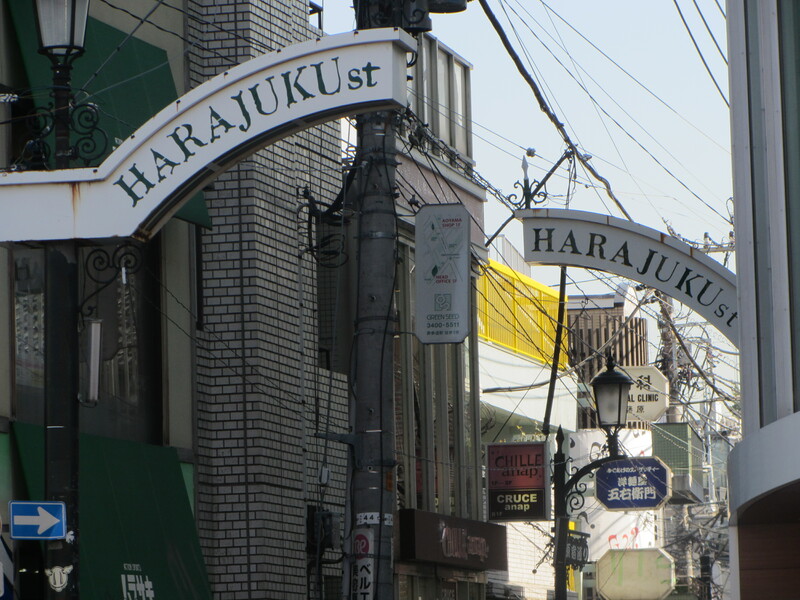 Be sure though to visit Harajuku and check out some of the styles you see around there. Out of this world. The Peninsula, Ginza | $$$$$ This was absolutely one of the nicest hotels I’ve ever stayed in. I was expecting the rooms in Tokyo to be small. This was palatial. More room than we needed, really, but I was not complaining. The dressing room and closet were a woman’s dream. The staff was so attentive, they hand delivered flu medicine to our room with exact instructions on how to take it. The location was great, with views of the Imperial Palace grounds. It was an easy walk to all the subways and to the shops of Ginza! Our favorite part of the hotel was the toilet! I mean come on, seat warmers? It was amazing.